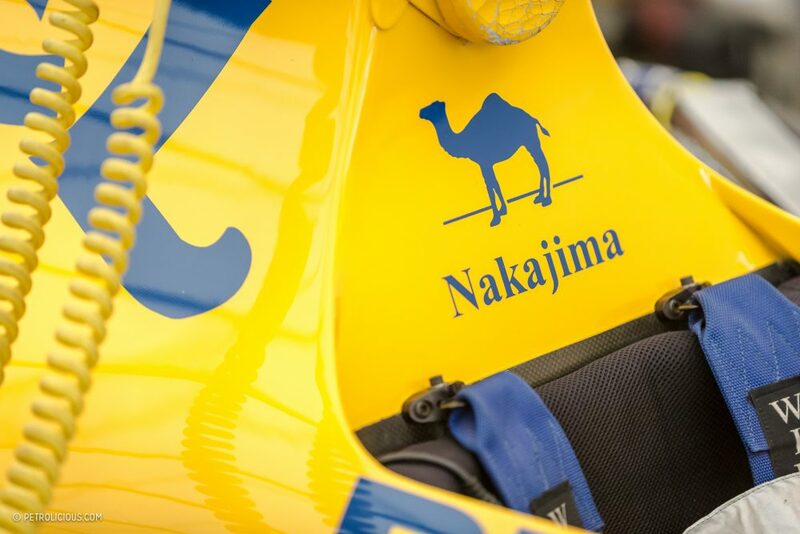 Lotus is a name synonymous with Formula 1 racing. 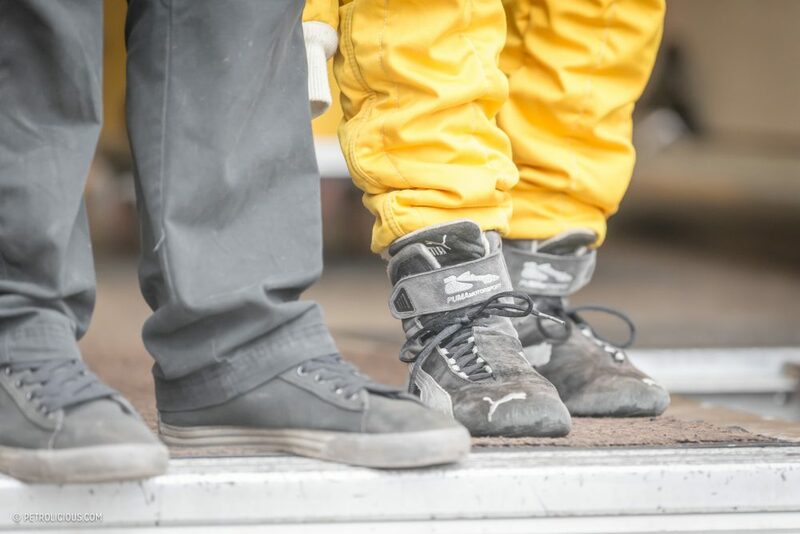 It’s as embedded in the story of the world’s premiere motorsport as any other successful constructor’s, and indeed it could be said that it is a vital part of the series’ DNA, and of motor-racing’s DNA more broadly. 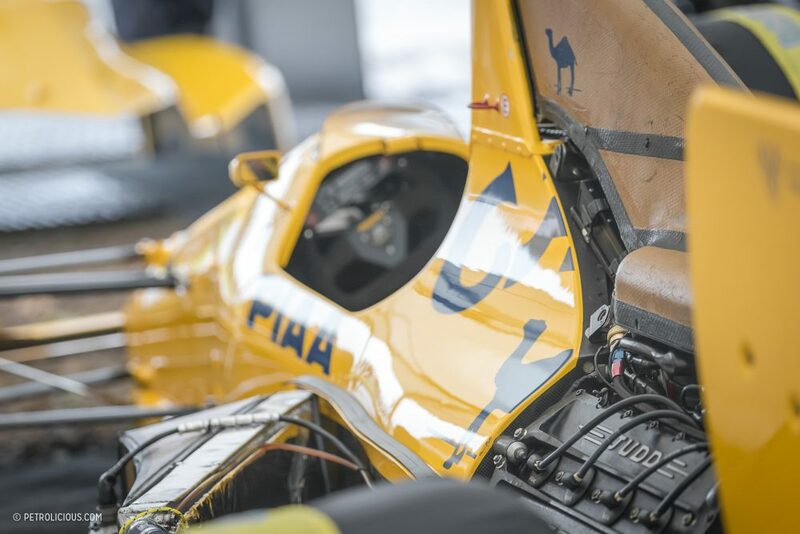 With multiple Grand Prix world champions driving Lotus cars, never mind Indianapolis successes and triumphs at Le Mans, the technical innovations that the constructor bought to the sport are among the most important and enduring. 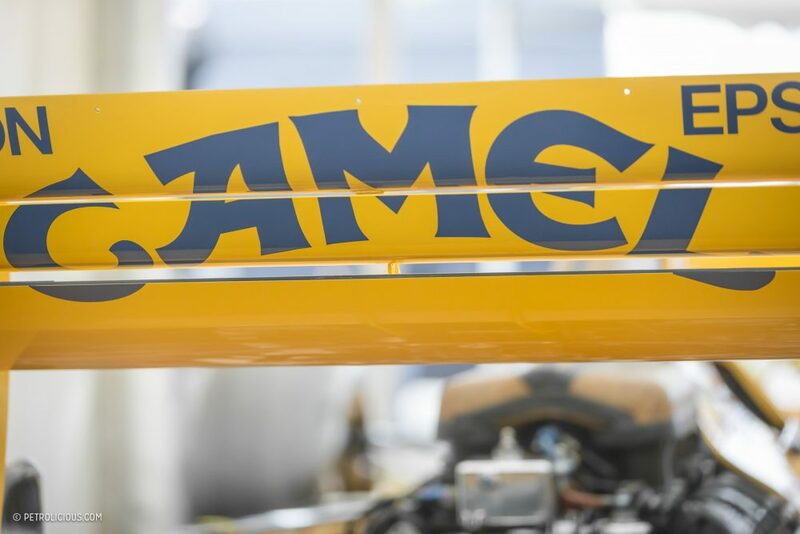 If you look at the significant innovations in Formula racing, you’ll find that many came out of Lotus workshops, such as hip-mounted radiators, overhanging rear wings, and monocoque chassis. 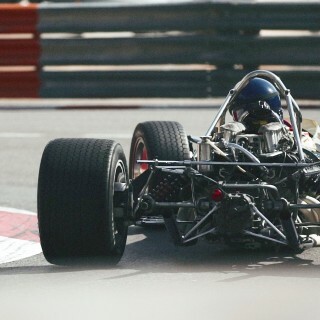 All are still a huge part of a modern Formula car’s skeleton. 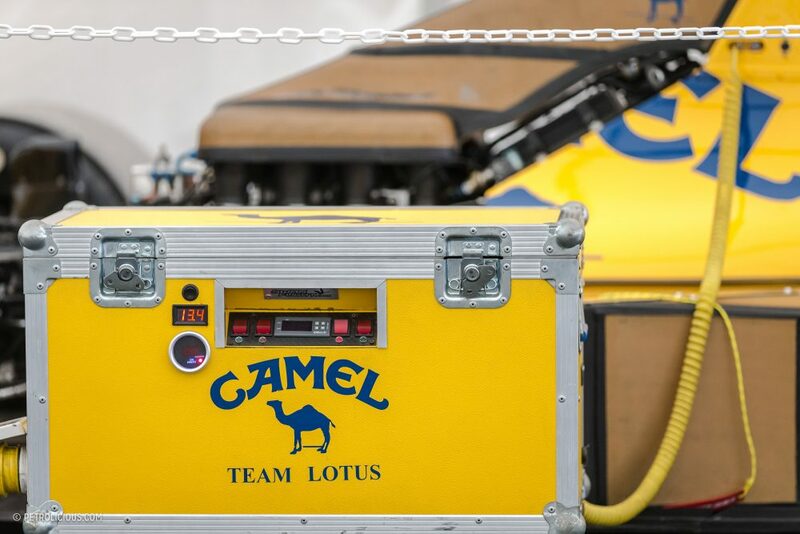 Even the modern phenomenon of sponsorship was first capitalized on by Team Lotus. It’s a shame then, as well as somewhat ironic, that the team’s demise and eventual extinction in 1994 was brought about by an inability to keep up with the rest of the grid on a technical level. 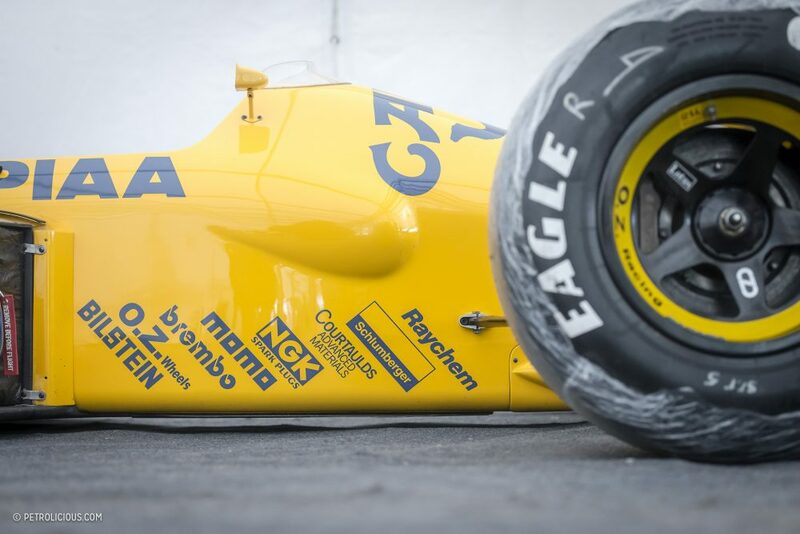 Many nails were sunk into the coffin of Lotus before the team eventually called it a day, but one of the biggest hammers pounding them in during the 1989 season came in the form of the Lotus 101. 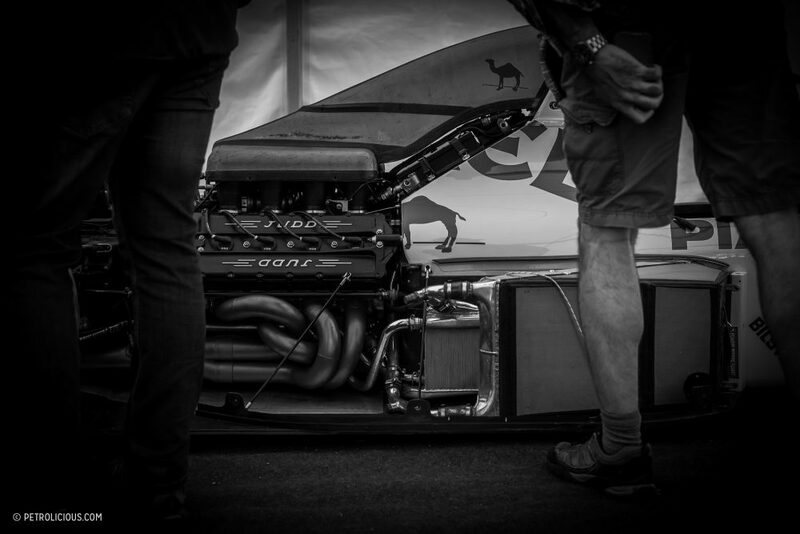 1989 saw a number of technical restrictions introduced to the sport, including the expulsion of the turbo engines that made up most of the grid in ’88. 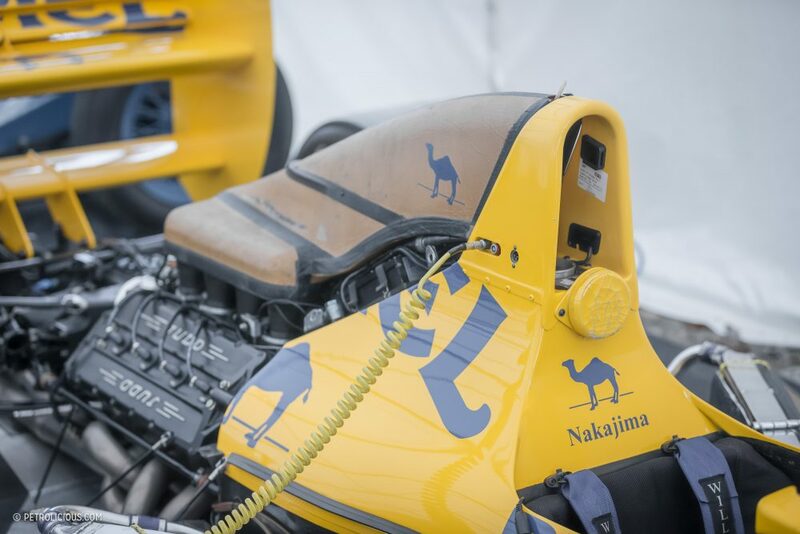 For Lotus, this meant a move from Honda power to Judd for the new season, with a naturally aspirated 3.5-liter V8. The car was rushed into life over a five-week period, and would ultimately prove to be a disaster that resulted in wholesale changes in the Lotus management team. While it may have been a dog compared to the rest of the cars from the driver’s seat, on paper and in person it is a stunning machine. 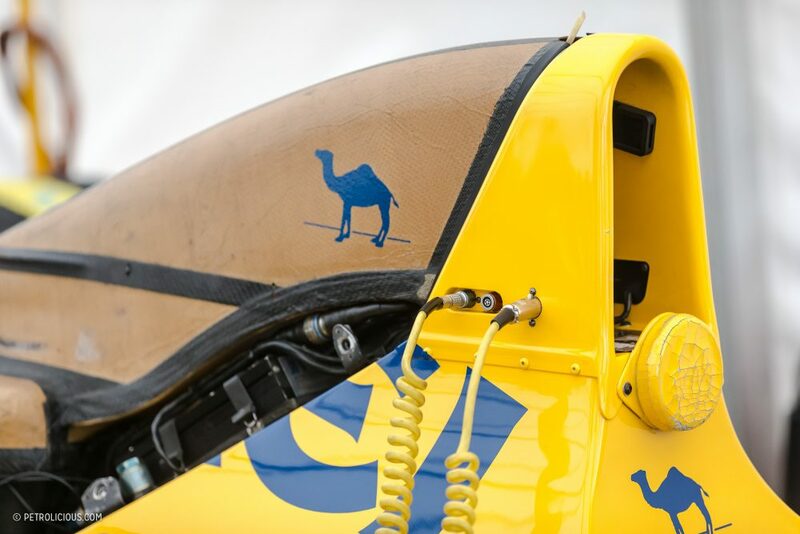 The fabulous Camel livery is simple, bold, and mesmerizing in its unique pale yellow-orange hue. 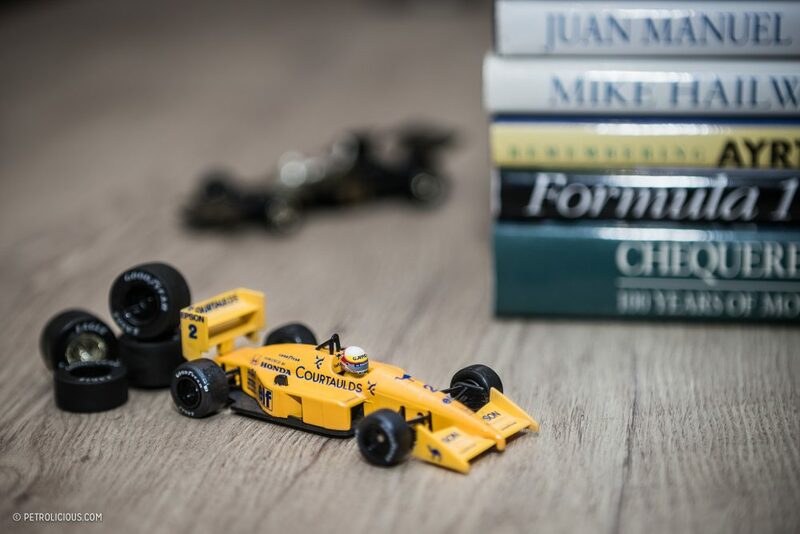 As a boy, this was the first Scalextric car I owned, and even now I have a model of the previous year’s car on my shelf at home, which wore the same livery as the car you see here. 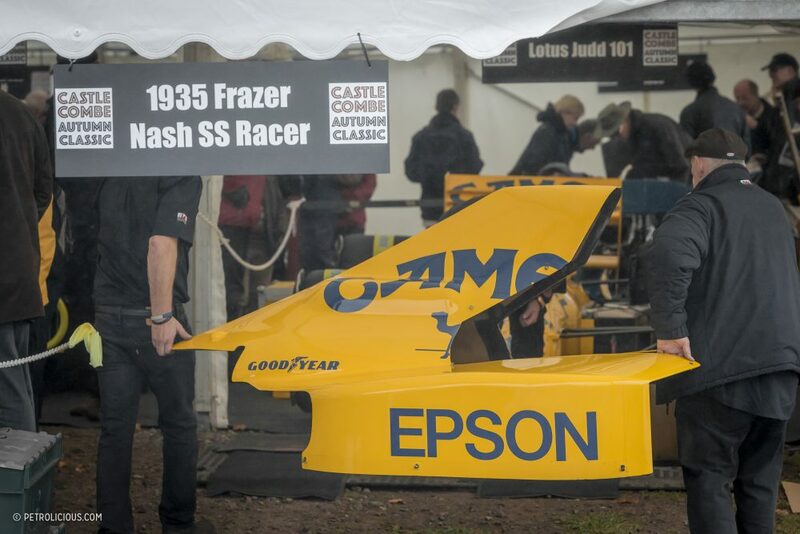 Miniatures are great, but in the flesh the Lotus 101 is even more beautiful of course, so I was delighted to learn that a restoration of one of the four 101s that were built was to be demoed at the Castle Combe Autumn Classic. The Judd power plant allowed the Lotus engineers at the time to build a very sleek and narrow car, making it one of the smaller ones in the paddock. 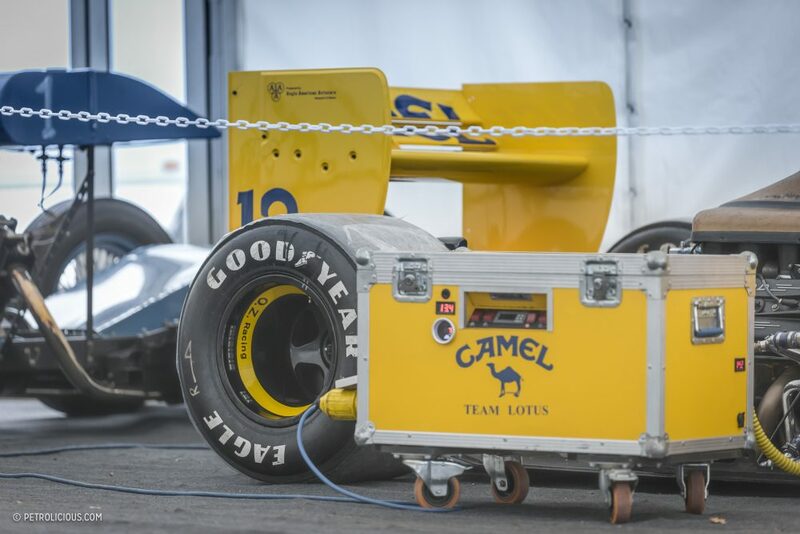 It was light too, as Lotus’s tend to be, and with the absence of any active/adaptive suspension (the addition of which in the year prior was insisted upon by the then-#1 driver Ayrton Senna) also reduced the bulk of the 101. The resulting design was so slim in fact, that a specially designed steering wheel had to be built to fit into the confined dimensions of the cockpit. 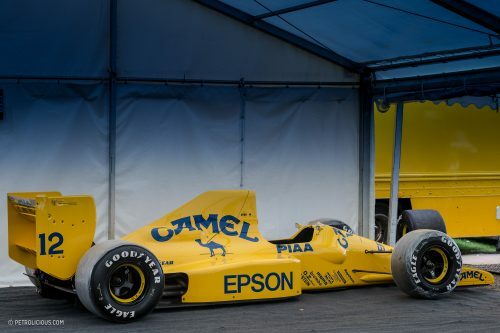 Sat as it was in a tent amongst other vintage Formula cars at the Autumn Classic, such as James Hunt’s Hesketh and a Williams driven by Alan Jones, the meagre proportions of the Lotus are extremely obvious, even to the untrained eye. Quite rightly so, it was attracting a lot of attention; perched low to the ground, with its top off, an unadulterated view of the Judd power plant was afforded to all that wished to see it. Then you look a few feet forward and catch a glimpse of the basic steering wheel, inside the even more basic cockpit with none of the PlayStation-style tech that adorns the driver’s position on the modern cars. It’s an interesting juxtaposition, the complex and powerful motor wedged into this bare and diminutive casing. Wearing its Good Year slippers wrapped in polyethylene to prevent the slick, sticky tires from picking up mud and stones between awning and track, the vehicle looked like a boxer warmed up and ready before a big bout. It conveyed a sense of purpose. Other details to note are the intricate bends of the exhaust system, and just how open the cockpit is. 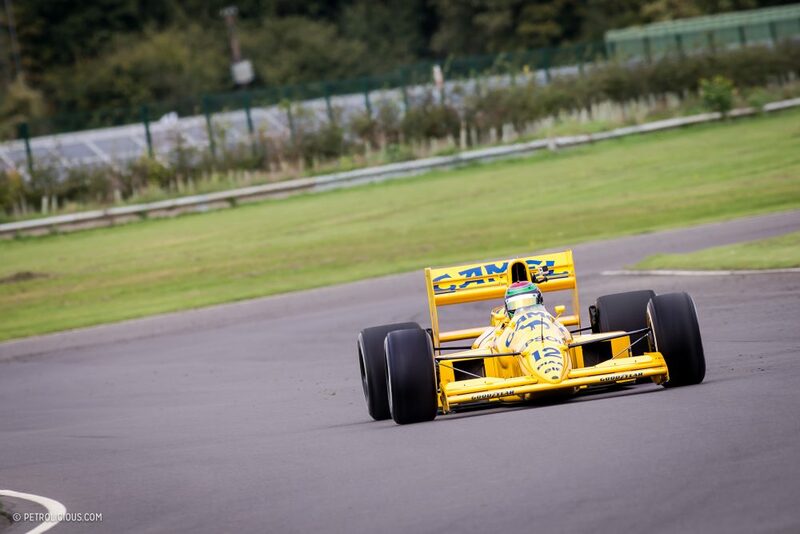 This was still a time when drivers were extremely vulnerable in the cars. In the context of today’s cars sporting wings upon wings, the simplicity of this model makes it a perfect example of the virtue that less is more. 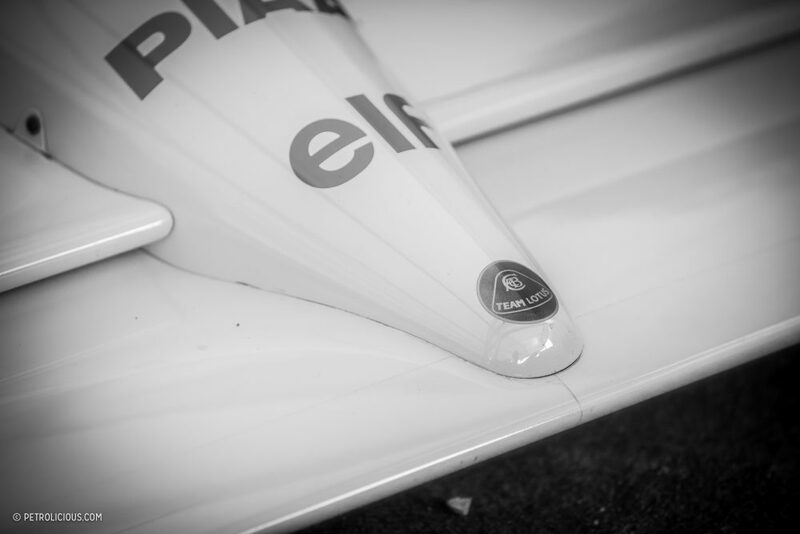 28 years ago, however, a supermodel stance alone was not enough to bring success on the track, and certainly not by the standards of Lotus. In the reality of racing, the car was a complete failure. 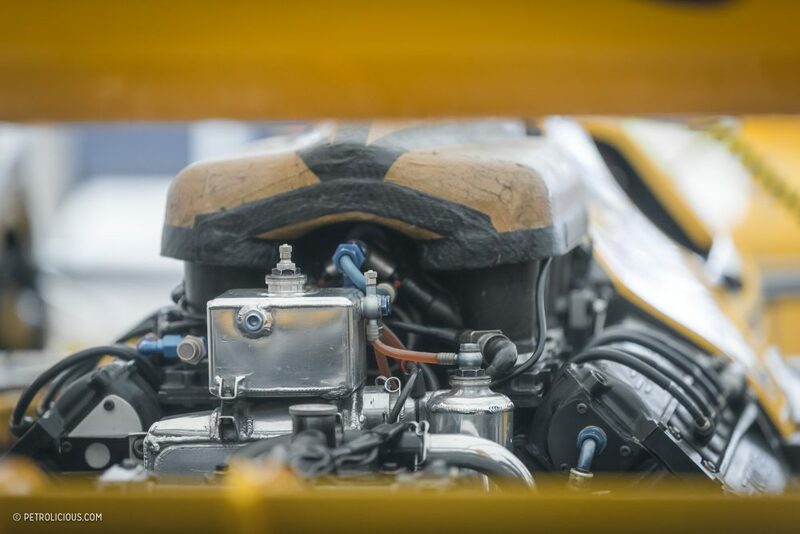 The engine was down on power compared to its rivals, not helped by the fact that as Judd were principal suppliers to the March racing team, Lotus only received the customer version of the engine. These were some 80 horses down on power compared to contemporary Honda V10 in the dominant McLaren of that season, and the power disadvantage rendered the 101 completely uncompetitive. 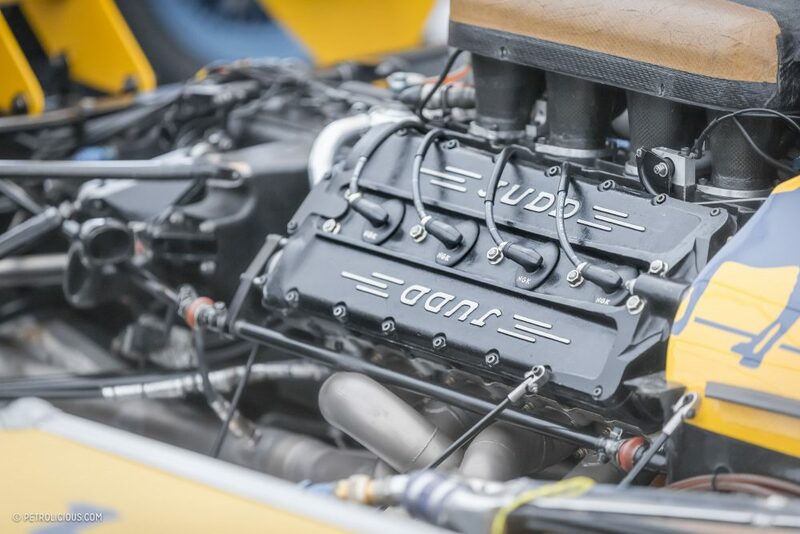 An attempt was made to squeeze more from the motor by commissioning the English engineering firm Tickford to develop a five-valves-per-cylinder head, but this was eventually abandoned after a management shakeup following that year’s British Grand Prix. 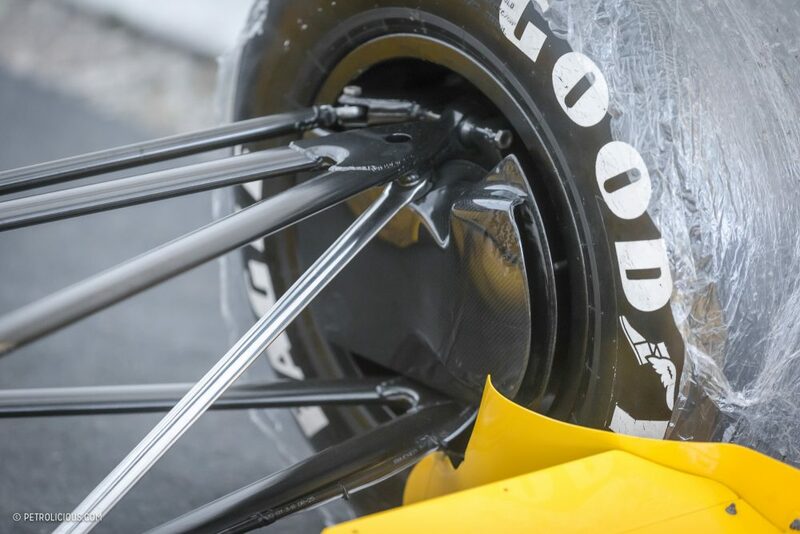 Worse still, the rushed design had left little time for testing, and so the designers could not tweak the chassis to get the best out of its Good Years, tires that had really been designed by the manufacturer with the McLaren and Ferrari teams in mind anyway. 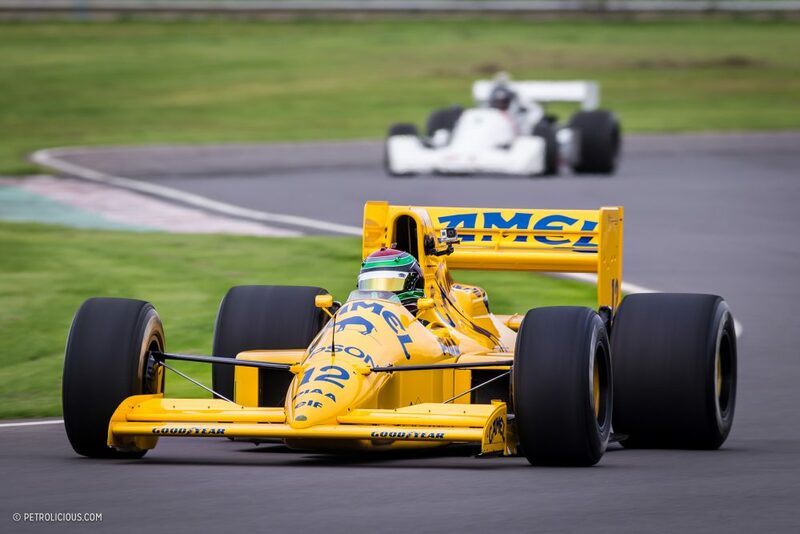 Neither three-time world champion Nelson Piquet nor Satoru Nakajima could put the car on the podium during 1989, never mind challenge the all-conquering Mclarens of Prost and Senna at the front of the field. 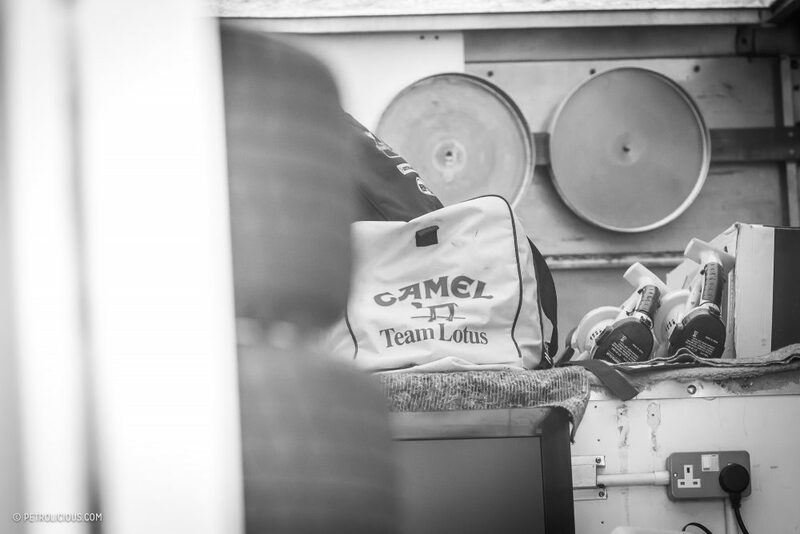 A fourth place for each driver throughout the season was all the team could deliver, and a final total of just fifteen points for the team marked the 101 effort as a catastrophe for a marque like Lotus. 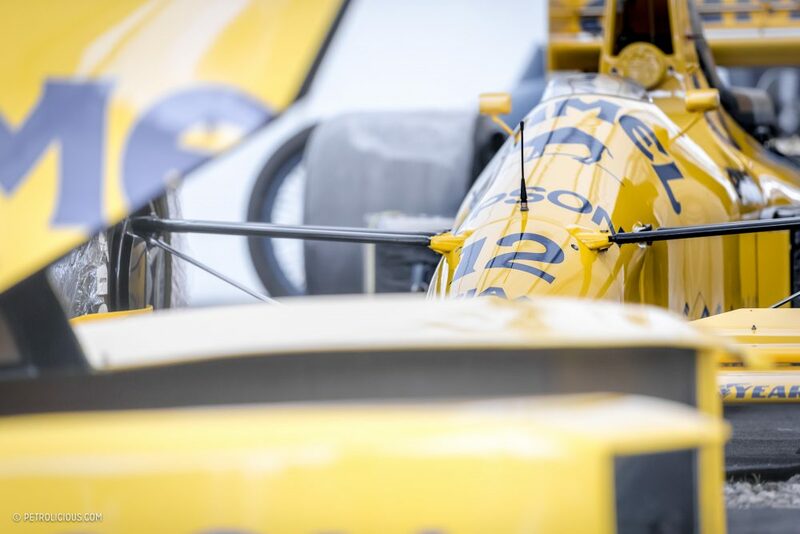 It was the beginning of the end, and although they didn’t know it at the time, a meager 15 was to be the most points the team would score in a single season from that point until the collapse of Team Lotus in 1994. As well as the poor results on track, there was other collateral damage throughout the season, with both team principal Peter Warr and chairman Fred Bushell losing their jobs, as well as both drivers turning elsewhere for the 1990 season. Go back to the future though, and the events of ’89 are long forgotten. In the distance I can hear the unmistakeable bark of a high-strung V8 being bought to life; a genuine Formula 1 car gasping for breath on a cold October day is never short of astounding, regardless of how many points the car scored 28 years ago. Results and success don’t really matter now in terms of evaluating a car’s appeal (though yes, competitive successes always add to the allure) and all I or anyone else pressed up to the fences and barriers around the track really cared about was the sonic assault that was about to begin at Castle Combe. 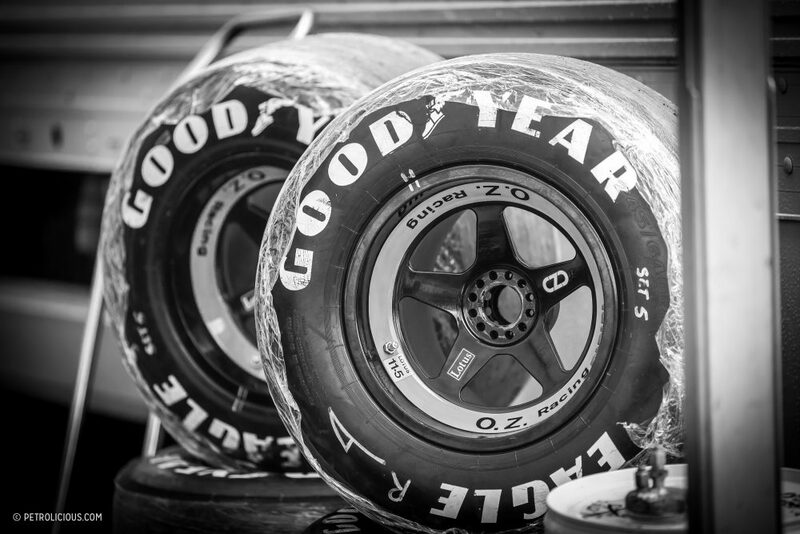 It doesn’t matter if you are a Grand Prix expert or a complete novice. It makes no difference if you think that the sport is boring now or if you’re a die-hard fan waking up at 3AM to watch the 2017 season. 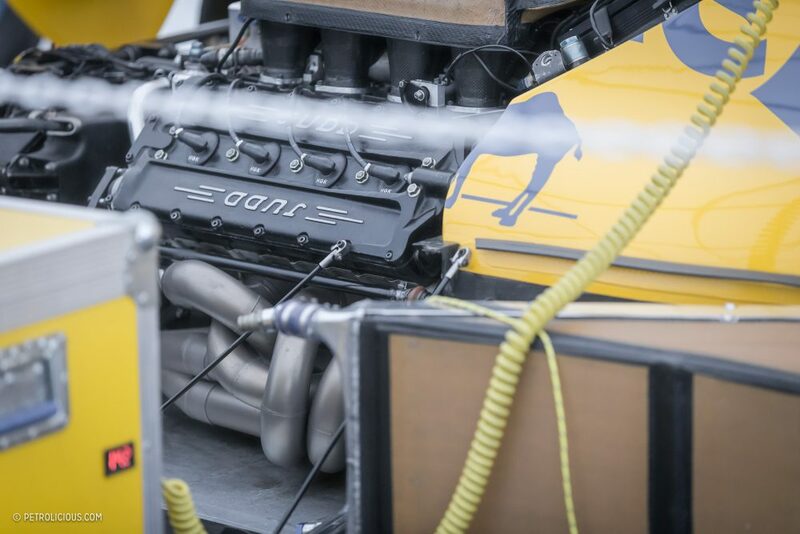 Regardless of your point of view, there is nothing quite like the sound of a Formula One car, any Formula One car, and this V8 monster was to be no different. Sadly, despite this circuit having existed since the 1950s, noise complaints from new residents to the area (here’s a hint: maybe don’t move next to a race track if you don’t like the sound of racing cars) meant there was an RPM limit imposed on the Lotus 101 during its demo laps. However, the occasional accidental/on purpose stomps on the accelerator pedal delighted the crowd of craning heads all the same. It’s a fabulous sight, seeing the impact that a sound can have on a crowd; people not paying attention suddenly look up, those that were already now look to their neighbors with that knowing grin, and you can almost track the sound visibly as it hits each person. 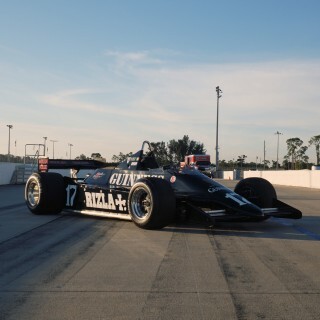 For those curious about this car in particular, it was first raced by Nelson Piquet before being used by Nakajima for the rest of its (un)competitive life. Its current owner found the Lotus in a poor state back in 2010, and has since lovingly restored it to its former glory, and thankfully this restoration is now being used on the track rather than relegated to a static life where the most action it sees comes from an occasional dusting. It’s trite in the world of vintage cars, but in this case it applies too strongly: cars like this were built to be used. I don’t agree with machines becoming permanent museum pieces, and being able to see this classic racer on track bought out the five-year-old in me and I’m sure in many others. Surely those reactions alone merit the continued use of cars like this one. Like I said, in the end results aren’t the only indicator of vintage value, and what matters most of all is how they makes you feel. 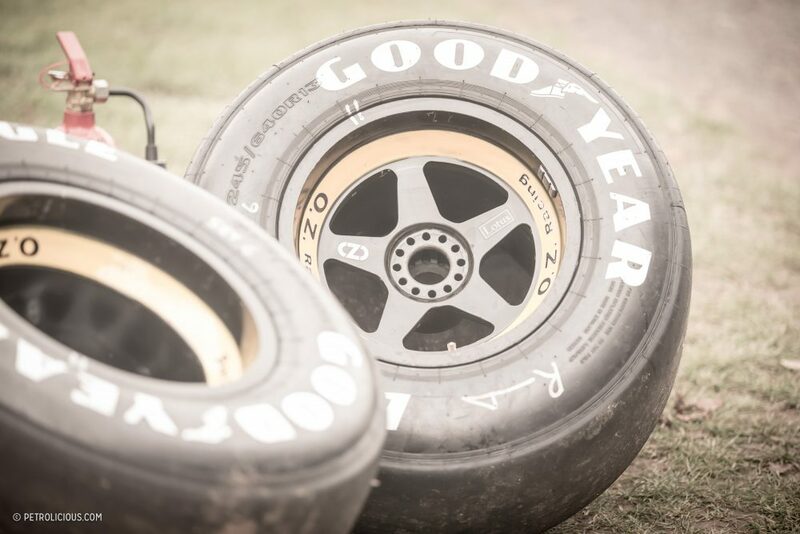 Perhaps you are most excited by the cars that won the most races—and that’s totally understandable—but if we all just focused on the champs we’d forget too much. It’s like the last place finisher at the Olympics: yeah, winning would have been better, but the person at the back of the pack is still an amazing athlete in the absolute sense if not the relative one. That’s how I feel about the 101. The lean skeletal lines of this racing car connect me to my formative years spent with cars and bikes that led me to where I am now. Compared to modern machines it’s relatively simple, with no complex electronics or energy-harvesting systems, and it’s this purity that captivates me. 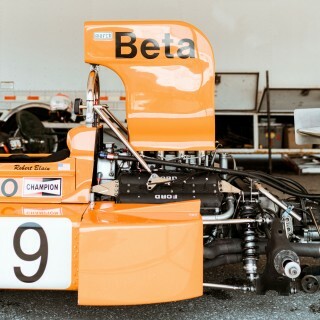 It is as functional a racing car as one can find, and I hope that I wasn’t the only spectator who realized how lucky he was to see her in motion again—though they aren’t as complex as today’s, getting a classic F1 car out on the track and in running condition to begin with is no easy feat. I also hope that everyone realizes just how important it is that cars like this are still running, keeping active the link to our childhoods while inspiring youngsters for the very first time too. 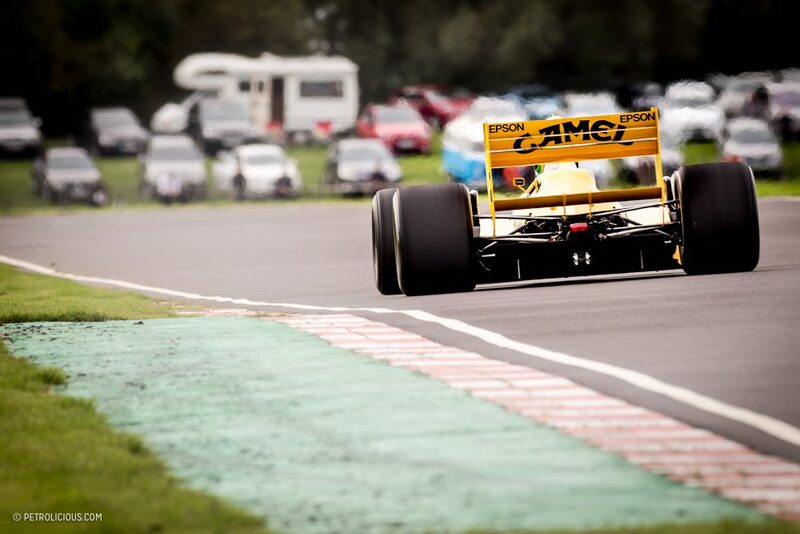 As it cruised menacingly around the track my thoughts were sent back even further, to a time when Lotus (under the stewardship of founder and engineering genius Colin Chapman) was a dominant force not just in Formula 1, but across the motoring world. I wonder just what he would have thought of the Lotus 101, and if he could have employed his creativity and skill to turn it into something competitive. It’s a question that will never be answered, but can long be debated over a jar in the pub! 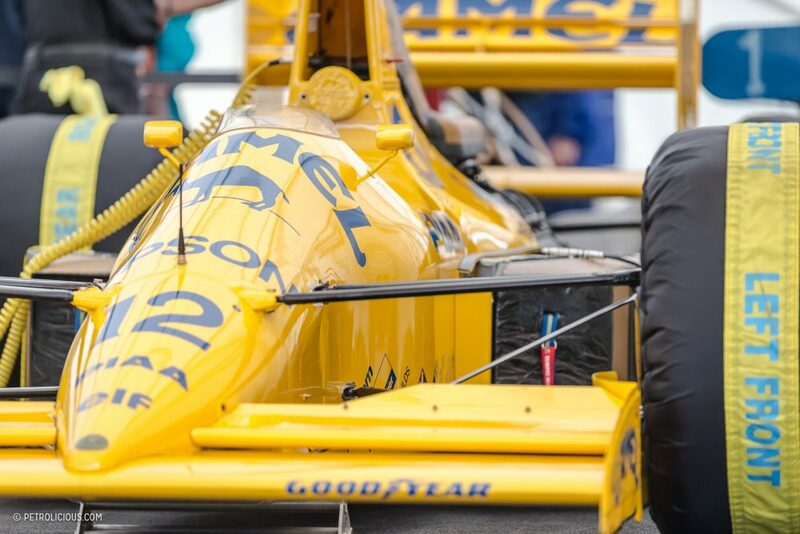 One thing is for certain though, regardless of its lack of success, its restoration and appearance on the track here today make it an important piece of automotive history that deserves its due celebration. That point alone makes it more relevant to me than almost any car that sits dormant and pampered. 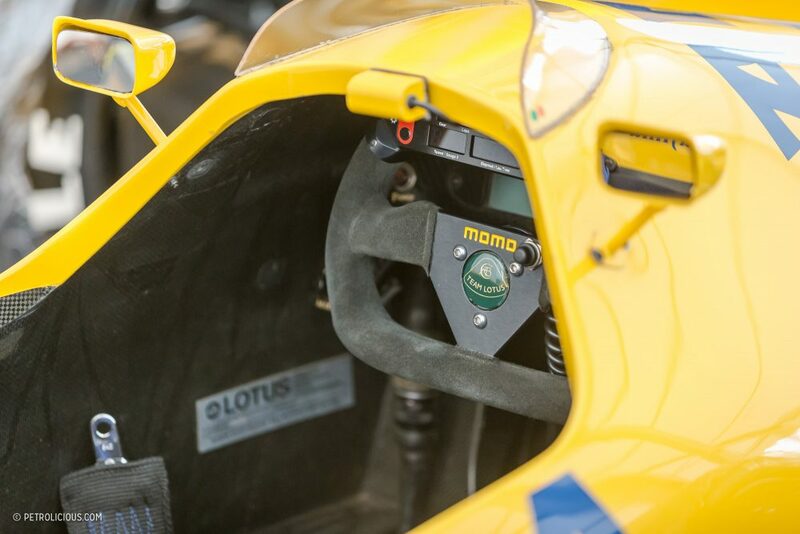 It didn’t win, but the Lotus 101 has a story, and it’s still here to tell it. If you are looking for the website http://screenresolutionwindows10.com which can let you know how you can adjust screen in your windows 10 smoothly and systematically. All methods will be provided to you with the mode of images. I really enjoyed this piece, well written. 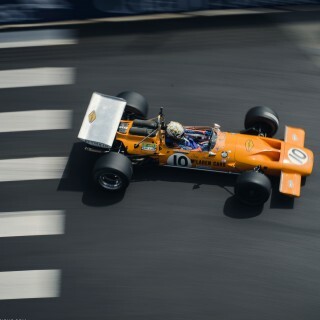 And I agree with Tim, this was the golden era of F1 for myself as well. 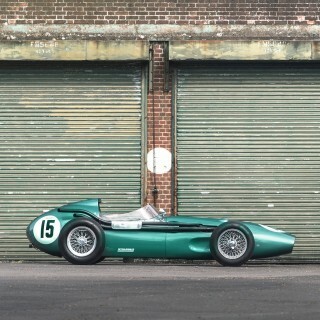 This car was and still is a beauty. Neat to see input from the previous owner too. Great article, beautiful photography and brings back so many memories. 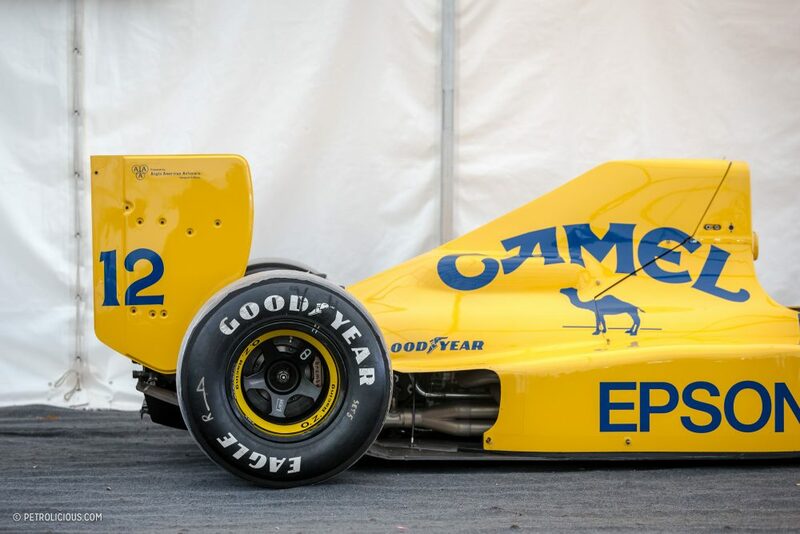 For me, this was the golden era of F1 (mid 80s-’94). I am a Lotus tragic and use to wish for them to succeed. It only got worse with the Lambo in the boot! The 101 was so narrow, it needed a bubble for the drivers hand and gear lever! 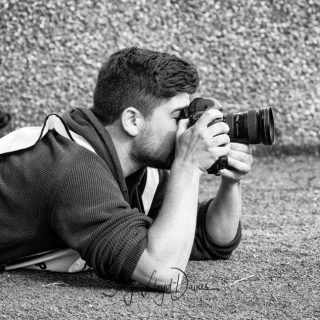 Great article, well written, fantastic photos. Ignore the opinionated angry fella ! Same tired old shtick. I think your circuitry is haywire. Honestly why do you come here?